Forza Horizon 4 made its eagerly-awaited world debut at E3 2018 in June. Not only was its headlining Dynamic Seasons feature at the forefront of the reveal event, but we also had the North American debut of the McLaren Senna – the cover star of Forza Horizon 4. The highly-anticipated E3 trailer for Forza Horizon 4 offered our first glimpse of the 4-litre twin-turbocharged V8 supercar in-action, driving at high-speed across the stunning and ever-changing seasonal landscapes of beautiful, historic Britain. It was followed by a gameplay demo presented by Creative Director Ralph Fulton, which showed attendees and viewers from home how seasons really do change everything with seamless online play and new social features at the forefront of the experience. If you missed it or wish to relive the incredible reveal of Forza Horizon 4, check it out at the top of this story. 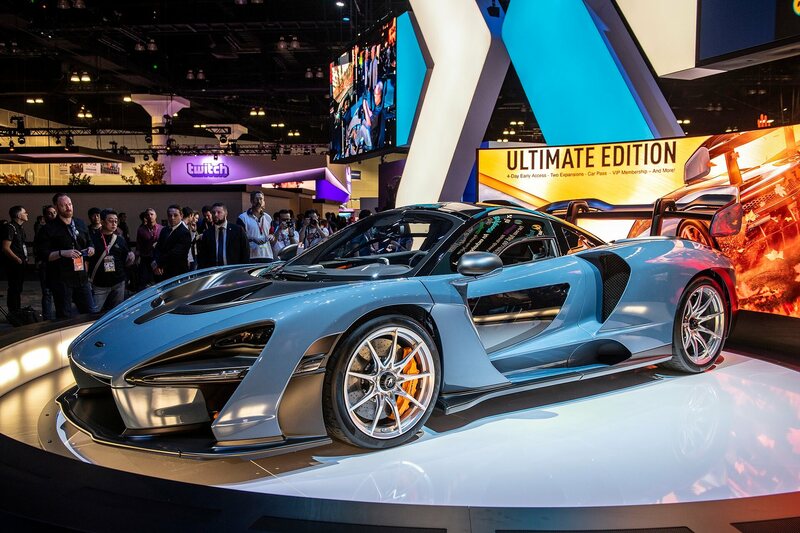 Otherwise, here’s a look at the North American reveal of the McLaren Senna, which saw Xbox Live’s Graeme Boyd and McLaren’s Andy Thomas unveil the 2019 supercar to E3 attendees at Microsoft’s E3 Mixer booth. The company has continued their storied partnership with McLaren Automotive for Forza Horizon 4, and whilst this reveal might not be as iconic or memorable as the Porsche 911 GT2 RS reveal for Forza Motorsport 7 from E3 2017, it certainly felt as special. The supercar, named after the legendary Formula 1 driver, Ayrton Senna – sets a new benchmark for speed, performance and excellence in the automotive industry. It’s McLaren’s fastest supercar yet, and it feels incredible both on the track and the sweeping roads of beautiful, historic Britain in Forza Horizon 4. “We are looking forward to working with McLaren and others to continue to push the boundaries of what is possible and redefine the future of automotive entertainment,” he added. Microsoft first collaborated with McLaren in 2013 for the North American debut of the McLaren P1 at E3 that year. The legendary hypercar was also brought to life in the ForzaFilmspeed commercial for Forza Motorsport 5 to celebrate the launch of the Xbox One console. As for McLaren’s latest supercar masterpiece, you’ll get to experience the speed and technical prowess of the Senna for yourself in Forza Horizon 4 when it launches on Xbox One and Windows 10 PC on October 2nd, 2018. It’ll be available on the Xbox Game Pass subscription service on the same date, but those who pre-order the Ultimate Edition can explore beautiful, historic Britain and drive the 2019 McLaren Senna four days earlier – from September 28th. 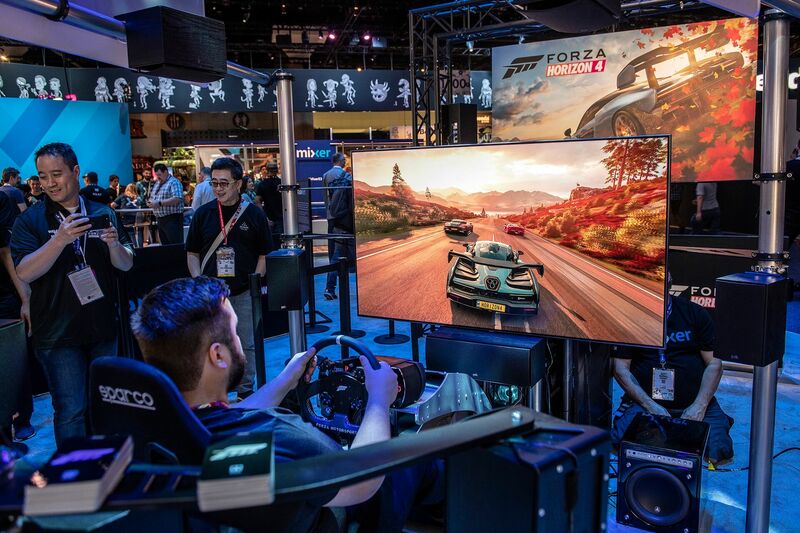 Recently, Playground Games hosted four unique seasonal livestreams for Forza Horizon 4. These showcased each of the different seasons within the game and how they change everything. From the landscape and weather conditions to the overall gameplay experiences. They also detailed a bunch of new features and improvements in Forza Horizon 4, which you can learn about in our dedicated recaps for Summer, Autumn, Winter, and Spring.